One of the reasons why we love working with our clients is fact that they take great pride in the appearance of their home. A home can reveal many things about its owner, and nothing sends a more positive first impression than a perfectly clean house. Given the fact that house maintenance can be both time consuming and strenuous at times, our house cleaning specialists are often entrusted with this task. After all, they have the training, the skills and the tools needed to restore the impeccable appearance of our clients’ homes in the least amount of time. We have been often asked for tips and tricks to help our clients organize and de-clutter their homes. Unfortunately, this is an activity which does take quite a bit of time, and cutting corners may not be the best idea if you care about the quality of the end results. However, de-cluttering does not have to start and finish in the same day. Keeping your home in a good shape is a matter of regular maintenance. And while you can always count on the services of our house cleaning company, de-cluttering is something which you can and should do on your own, as this task involves not just cleaning a space, but also looking through all of your things there, reorganizing them efficiently, and most importantly getting rid of those items which are no longer of any use to you. The secrets to efficiently de-cluttering your home are motivation and perseverance. This is recommend you try our 25 spaces in 25 days challenge. By completing this challenge you will not only gain knowledge of an interesting strategy which can prove useful to you in the future. More importantly, by being able to set your own pace, you will be more motivated to keep up with a daily routine which will help you reach your objectives. The challenge which we have for you might sound very simple at a first glance. First, you need to make a list of 25 spaces in your home that you feel are cluttered and could use your attention. The spaces you select do not have to be big. Start small, especially if time is an issue for you, as it is for many of the clients of our clients. Any place, even as small as a drawer or a shelf can be put on the list. However, don’t be afraid to take on larger projects as well, such as a closet or even the attic or basement. After all, this needs to be a challenging activity. After you have completed the list, you should create a table with 25 cells, one for each of the next 25 days. Either print it, or just draw a table by hand. The important thing is that you have the table in a physical format somewhere that it is visible, so you can constantly check and look at your progress. Next, write in each of the cells one of the activities on your list. Take into account how much time it would take to complete that particular task, and how much time you will have available for de-cluttering that day. A small drawer or a shelf might only take 10 minutes of your time to clean and reorganize, but a closet would take an hour, or even two, depending on its size. If you feel that a certain space would take too long to reorganize, feel free to split it into smaller tasks spread over a few days. Avoid setting tasks which are too difficult for you to complete. Try to be realistic in your estimates regarding how much time you have available on a certain day. That way you will be more motivated to achieve your daily objectives. This challenge has a number of benefits. The first is that it will help you to better organize your time in the future – by spending just a few minutes a day you will make a significant contribution to the overall appearance of your home, in less than a month. Imagine what could happen if you did that over an entire year! Another, very important benefit is the fact that you have the opportunity to clear a lot of space. Over the years we tend to gather many items which we keep in storage thinking we might use them at some point – but we never actually do. This is your chance to get rid of those items once and for all. It is even possible to make some money off them by holding a garage sale or by placing them on websites such as eBay or Craigslist. This challenge can easily be turned into a family activity, by assigning every member of the family the same number of tasks. While it is likely they will not be extremely enthusiastic about it at first, you can easily change that by adding some small rewards for a number of well accomplished tasks, for keeping to the schedule, and so on. You can take before and after photos of all the spaces you’ve cleaned in order to show others – and remind yourself – what a great job you have done. The important thing is to focus on the results of your labor, but having a little bit of fun on the way helps too. As a house cleaning Palo Alto company, we realize that this challenge will not necessarily make your house clutter-free. It depends on various factors, not all of which are under your control. However, trying this challenge is a good start. After less than a month you will get to see the palpable results of your as little as ten minutes of work per day. Space by space, you will slowly notice how much better things look, and you will be able to realize how much space you have managed to clear with so little effort. We believe that this might just inspire you to invest more time in similar tasks in the future. As a house cleaning company in Redwood City, our customers often ask us about the dangers of mold and ways to remove it safely. Mold infestations are very common. In fact, there are about 1000 documented species of house mold. Mold is a fungus. It reproduces through tiny ‘seeds’ called spores that are light enough to be carried by air currents. Spores can enter your home through an open window, by arriving on packaging materials such as cardboard, or you might even unknowingly carry them inside on your clothes. This is why almost all houses have developed or will develop mold at some point in time. Mold loves dark and humid environments, which is why you might not even be aware of its presence for a long time. It can grow on any surface like wood, tile, in air vents, under carpets, or even within walls. Mold colonies can have varied colors, such as white, green, yellow, orange or black, and have a fuzzy texture. Mold poses great health risks. Black mold produces toxic substances called mycotoxins, which can cause serious health problems to humans and pets alike. 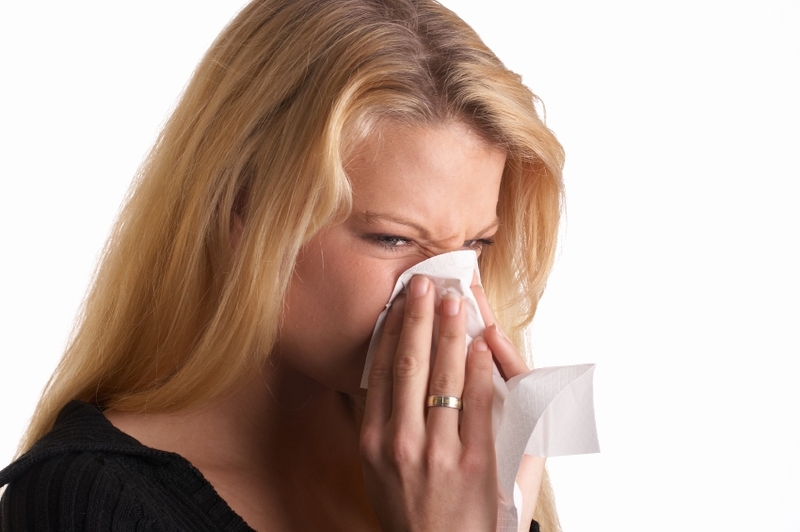 It is believed that prolonged exposure can worsen existing respiratory problems, but it can also make otherwise healthy people more likely to become ill.
All types of mold can cause allergic reactions in the human body including symptoms such as a sore throat, rashes, difficulty breathing, eye irritation, etc. Some allergic reactions can be more severe than others. So, it is important that any mold identified in a household should be immediately removed, especially if anyone in the household suffers from allergy symptoms. Mold is extremely invasive; it exponentially spreads throughout a home by releasing its spores. It can be very difficult and costly to remove if it is identified too late. This is why many insurance policies only offer limited coverage for mold damage, if any at all. It is therefore vital that you identify mold before the colony becomes too large. While difficult to spot, mold announces its presence through a heavy, damp, distinctive smell. If you identify such a smell, then you should carefully inspect the room until you find the source. The Environmental Protection Agency recommends professional mold removal services for surfaces of 10 square feet and more, as it is difficult for a person without proper training to clean such a large area while limiting the amount of spores released. In such a circumstances you may want to seek help from a professional house cleaning company in Redwood City. For surfaces of less than 10 square feet it may be possible for you to remove mold yourself with adequate precautions such as turning off your HVAC unit, wearing a breathing mask, and wearing rubber gloves. While there are many chemical products available on the market for killing mold, we think its best to use natural, eco-friendly solutions that are not likely to affect the health of your family in any way. Vinegar can kill over 80% of all mold species. The best kind to use is white, distilled vinegar. Spray the undiluted vinegar from a spray bottle over the entire surface affected by mold, and wait for about an hour before wiping the surface clean with a wet cloth in order to remove any traces of mold. Baking soda can be found in most kitchens, but is also a powerful cleaning agent with anti-fungi and antibacterial properties. It is affordable, easy to find, and safe to use around people and pets. Add half a tablespoon of baking soda to 1L of water and mix together until the baking soda dissolves. Spray this solution over the affected area and then, after a few minutes, scrub away the mold. Then wipe the area using a sponge, using plenty of water to remove any spores that might still be on the surface. For future protection against mold, spray the area again with the baking soda solution. After it dries, the baking soda will help absorb moisture, keeping the mold from reappearing. Easy to find at any local drugstore or pharmacy, hydrogen peroxide is a powerful disinfectant. It can kill bacteria, viruses and fungi – including mold. Use a low concentration (3%) hydrogen peroxide solution for mold removal. Simply spray the moldy areas thoroughly and wait for 10-15 minutes before scrubbing away the mold. When you are done, wipe the surface again just to make sure you removed every trace of this pesky fungus. These are three tricks which we, as a house cleaning company in Redwood City, feel that any home owner should utilize. They provide a natural, non-toxic alternative to chemical mold removal products on the market. Remember that it is easier to prevent than to cure. You can make your house a less hospitable home for mold by keeping the humidity levels at a comfortable 30-50%. Ventilate your entire house regularly, particularly areas such as the bathroom and kitchen; steam and condensation often provide mold with the condition it needs to thrive. If you locate a mold infestation, remember that a mold colony needs humidity to survive. Identify the elements which have allowed mold to thrive in that location and take corrective steps in order to ensure that mold growth conditions will not be met in the future. It is advisable to ask for professional advice if you feel that a mold problem was caused by water infiltration due to a leaky roof or pipes. Even if you fix any leaky pipes, mold will not go away on it’s own. Our AmericanHouseCleaning.com staff could offer you the insight you need in order to select the best permanent solution for mold. Contact us today to inquire about our professionals cleaning services. What are the Perks of Hiring House Cleaning Services? In today’s sluggish economy, the majority of society opts to personally get things done rather than hire someone to help. People nowadays are more likely cook their own meals and not eat out, try to fix their faucet over calling a plumber, and paint their house themselves rather than hire a painter. Most of the time, hiring a professional can be expensive and not worth it, but this is not the case when it comes to hiring a house cleaning service. A a homeowner, you know better than to go to bed with the kitchen sink full of dishes, the bathroom full of water spots and the living room with dirt left by children or pets. You know you have to clean the house before calling it a day. So why not give yourself a break? AmericanHouseCleaning.com, is a favorite among San Francisco residents for their house cleaning services because the benefits far outweigh the costs. Here are the best perks of hiring a house cleaning service. These days having more than one job is common among many working Americans. After finishing a day job, many people head to their next job. Then after a long day, they go home to their families. But instead of playing with their children or helping them with their school work, the adults have to roll up their sleeves and scrub the bathroom or vacuum the living room. The result is hours of family time lost. Doing this day in and day out, year in and year out can drastically change the dynamic of any family. Having a house cleaning service on hand enables you to spend more time doing things that you love, or just simply relaxing. Just imagine going to the park or to the mall with your family instead of cleaning the house every weekend. Sounds nice doesn’t it? Many Americans would love to have a second (or even a third or fourth job) because they want to augment their income, but many don’t have the time. What many of these people fail to see is that the income they derived from a second, third or fourth job will far exceed whatever they will pay a house cleaning service. By hiring a cleaning service, you free up time to either spend relaxing or working another job. lessen your “to do” list. Almost everyone in the workforce has a “to-do” list: deadlines to be met, reports to be submitted, sales quotas to be met, items to be manufactured, etc. Many people have “clean the house” on their “to do” list. At the end of a 12-hour day, they go home exhausted but still have to ruse their weary body to tackle one more job on the “to-do” list: cleaning the house. Wouldn’t you rather have someone else take care of this chore and make it easier on you? Picture going home to a house where everything is in place, the walls and floors are free of dust and stains, and the kitchen smells clean and fresh. This would relieve so much worry and stress wouldn’t it? Just as you go to a doctor when you have health concerns or a lawyer when you have legal matters to discuss, you should talk to a house cleaning service for any cleaning concerns. Over the years house cleaning has evolved into a discipline of the best techniques and tools to clean every household. House cleaning services have at their disposal the latest equipment and the best eco-friendly cleaning chemicals. The pros are capable of doing the best job possible, while you relax and spend time doing the things you love to do. As an added benefit from hiring professional house cleaning services your house cleaning company will be able to rid your house of many unwanted guests like pollen, mites, fungi, mildew, bacteria and viruses. Yes, with their industrial and eco-friendly cleaning agents and detergents, your house cleaning company can remove these harmful elements. When the experts do the cleaning you not only get a clean house, but you also get an environment that’s healthier for humans and pets. AmericanHouseCleaning.com believes that you owe it to you and your family to give yourself the free time and relaxation that you deserve. Your health and happiness is paramount. Our San Francisco house cleaning service company suggests that you weigh the cost of a house cleaning service with the benefits that come with it. These benefits include spending more time with family, the ability to work a second job, more time to relax, and having a germ free home. Its easy to see that these perks are simply priceless. Contact AmericanHouseCleaning.com for more information. If you have glass shower doors, it is ideal to keep them free of water spots to prevent permanent marks on the glass. The best way to prevent water spots from forming is to squeegee after every shower. Still, even after a squeegee, water spots can still form. If you have water spots, AmericanHouseCleaning.com, a house cleaning service in Redwood City CA, suggests that you try one of these solutions. Spot-X hard water spot remover. This is a powder detergent formulated to remove a wide range of hard water stains. Apply some remover to a wet non-scratch sponge. Then scrub your shower door. Rinse thoroughly and polish. Fabric Softener Sheet. Pour water on a fabric softener sheet and use the sheet for cleaning the shower doors. This usually works because the softener ingredients disintegrate the water spots. Vinegar. Soak a paper towel in vinegar. Place the paper towel over the water spots on the shower door let it sit for about 30 minutes. Apply more vinegar if needed. Then, remove the paper towel, rinse the shower door with water and wipe thoroughly. Baby, Orange or Lemon Oil. This technique will not only remove water spots and etching marks, but will enhance the appearance of your shower doors as well. These materials leave a film over the affected area so you don’t see the spots very much. Mr. Clean Magic Eraser with Soap. Moisten your magic clean eraser and apply 1 to 2 drops of dish soap. Then, scrub thoroughly, rinse and dry. Bar Keeper's Friend. Moisten the soft side of a sponge, scatter some Bar Keeper's Friend on the sponge and then scrub using an “O” pattern of motion. Then, rinse well and clean again using a glass cleaner. Glass or Ceramic Stove Top Cleaner. Use Weiman’s Glass Cooktop cleaner or Cerambryte. Rub it on the glass shower doors. Allow it to dry. Then, use a microfiber cloth to buffthe shower door. This is very effective although it uses more elbow grease than Bar Keeper’s Friend to put the sheen back on your shower door. This house cleaning service from Redwood City, CA, suggests that it may take you some trial and error before getting your shower doors free of water spots. But once you find the solution that works for you, you can stick with it and say “good-bye!” to water spots forever. If you enjoyed this post, please comment, like and share on social media. All you need is a reliable vacuum cleaner with a furniture attachment. Just make regular sweeps of the furniture and the areas where your pets like to lay. Another option is to use a rubber glove or a wet cloth to pick up loose hair. Removing pet stains involves three simple steps: prevention, removing the stain and eliminating odor. Apply soil retardant on the areas where your pets often lay. 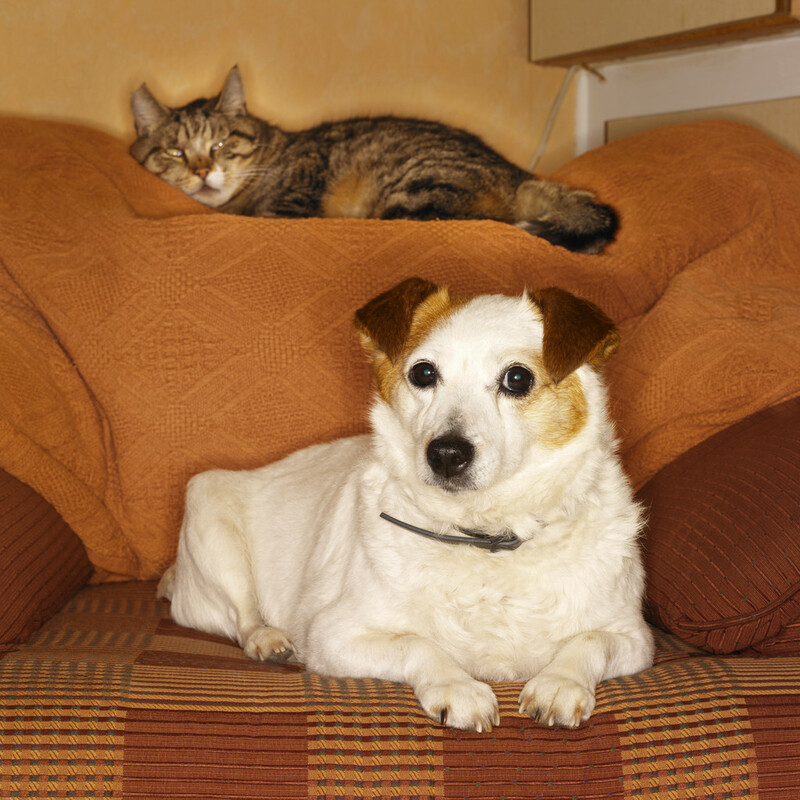 This can help prevent or minimize pet stains. You can remove pet stains by pouring undiluted soda water directly on the stain. Then, using a dry white towel to blot the area. Repeat the process until most of the moisture has been absorbed. Then cover the stained area with a new and clean white towel. Place a heavy object on top of the towel to absorb the remaining moisture. You may be able to remove the stain, but removing the odor may be the greater challenge. Don’t just deodorize the affected area with an aerosol freshener. That will just mask the odor temporarily. The most effective way to remove odor is to wash the affected area with a disinfectant cleaning solution. Rinse after washing and then let it dry. The area should be odor-free after this step is completed. If everything else fails …. If your efforts to remove a stain and odor do not work, then you may have to enlist the services of a professional. For such services, you may visit us at AmericanHouseCleaning.com, a San Francisco maid service. Our experienced team can discuss with you the best way to remove a stain and odor during your routine cleanings. Follow the steps outlined above and you will have a home free of pet stains and odor, while enjoying the company of your cuddly friends. If these cleaning tips do not work, then it’s time to call AmericanHouseCleaning.com. We use our bathroom several times in a day. Thus, we have to keep our bathroom as clean as possible. Cleaning the bathroom is not as tough as you think. As a house cleaning service in San Francisco we have tips on keeping your bathroom clean and odor free. Germs. You should disinfect everything in the bathroom with commercial cleaners. Disinfecting can be done daily in 3 to 4 minutes. Odor. You can keep your bathroom odor-free by applying a little bit of fragrance on a light bulb. When the light is on, the heat releases the fresh scent. As for the toilet bowl, you can keep it odor-free by pouring one cup baking soda down the bowl once a week. Mildew. With the bathroom being a damp environment, areas in the bathroom may be susceptible to mildew growth. You can remove mildew from the edges of your bath tub by dipping cotton balls in bleach and letting them sit while you clean the bathroom. When you’re done cleaning, remove the cotton balls and rinse the toilet bowl thoroughly. Mildew can also grow on shower curtains. To prevent mildew, soak shower curtain in salt water before hanging them. If the shower curtain already has mildew, wash it in hot soapy water, scrub with lemon juice and hang it out to dry. Clean plastic curtains with laundry pre-wash spray. Spray along the top, letting the water run down the curtain. Wait for a few minutes, then rinse thoroughly. To prevent mildew on shower mats, dip a stiff brush in a solution containing kerosene and warm water. The best way to prevent mildew on shower mats is to keep a squeegee in the shower. This way, shower users can wipe the mat when they are done. Rings. Unsightly rings can be found in the bath tub and toilet bowl. To avoid bathtub rings, do not use oily products. If you live in a hard-water region, use a water softener. Then rinse the tub immediately after bathing. If there is still a ring, wipe the ring with a damp sponge sprinkled with baking soda. Rinse clean and wipe it dry. For difficult rings, scrub with a cloth soaked in vinegar. The toilet bowl can be kept ring-free by pouring a half-gallon of white vinegar in it once a month. Let it sit for a night before flushing. Do not use bleach, if you are using a tank cleaner that is automatically released when the toilet is flushed. Dirt and Stains. To clean bathroom drains, pour 1/4 to 1/2 box of baking soda down the drain followed by 1/2 cup of white vinegar. Then cover the drain tightly for a few minutes and rinse with cold water. Caulking around the bathtub can be removed by using rubbing alcohol. Liquid chlorine bleach (1/4 cup to one gallon) will also clean caulking. For dark stains such as rust, scrub with a mix of borax and lemon juice. Getting that Bathroom to Shine. Clean glass shower doors with a white vinegar-dampened sponge to remove soap residue. To clean shower track door, pour full strength vinegar into the track, let soak for a few minutes, then rinse. A coat of acrylic floor finish gives new shine to fiberglass shower doors and makes water spots disappear. Club soda can give new shine to your counter tops. Did you know that rubbing alcohol can also be used to shine chrome and glass? Wipe a stainless steel sink with vinegar or a touch of oil on a cloth to make it sparkle. When cleaning the bathroom, take a tip from the pros: AmercanHouseCleaning.com, a house cleaning service company in San Francisco. If there is one room in your house that you should clean thoroughly, it is your kitchen. The kitchen is usually the most used room in a household. A clean kitchen is important because it is place where food is prepared and a clean and sanitized environment is key to preventing the growth of harmful bacteria. Cleaning your kitchen shouldn’t be too difficult if you follow a specific system. Cleaning like clockwork. Yes that’s right, work clockwise. Start with the area to the right of the stove, then clean from there. Work clockwise leaving the stove for last because it is most likely the dirtiest portion of the kitchen. By cleaning the stove last, you avoid carrying dirt and other debris from the stove to other parts of your kitchen. Sanitize the Sink. When cleaning the sink, use a cleaning agent labeled as an EPA-registered disinfectant. If you can’t find a commercial product, you can make your own. You can disinfect your sink using soap and water, then spray it with vinegar, followed by a small amount of hydrogen peroxide. Next, apply mineral oil to microfiber cloth and use it to buff the sink. Doing this prevents water build-up and the growth of molds. Clean your dishwasher once a week. Sprinkle baking soda on a wet sponge and wipe around the perimeter of the dish washing machine to remove stubborn food or stains. You can clean the interior by running an empty cycle with a product specifically for removing bacteria. Remove kitchen odor naturally. It’s easy to make your own kitchen deodorant formula. In your trash cash, drop a slice of lemon, a pinch of salt and some ice cubes. The lemon will give your kitchen a fresh scent while the ice and salt removes stubborn residue. Use microfiber cloths instead of paper towels. Microfiber cloths are reusable and economical. More importantly, this material will sanitize and clean your floors, counters, glass surfaces and tiles when moistened with water. Clean up stains and spills immediately. Wipe stains and spills away as soon as you see them. Don’t allow sauces, oils or spices to dry up and harden. Also, it is a good practice to fill your sink with hot soapy water before you begin eating dinner. You can then place your used dishes and pans in the sink so they’ll be soaking while you eat. Doing this will make removing oil and grease easier during clean up time after dinner. These tips by AmericanHouseCleaning.com, a maid services company in San Francisco, can make cleaning your kitchen easier, less costly and less time-consuming. Try them and you will notice a difference in your cleaning habits. A Maid Service Answers the Question: How Often Should I Clean? Cleaning your house is an important activity. A clean and tidy home is presentable and hygienic. It is best that you maintain a regular cleaning schedule. You can approach the task of cleaning your house just like a day job. There are tasks that simply have to be done every day, while others can be done less frequently. A maid service in San Francisco, AmericanHouseCleaning.com, advises that you identify tasks as daily, weekly, monthly or annually. Kitchen and Dining Room. The rule of thumb is the more frequent the usage, the more regular the cleaning. Take the case of the kitchen and dining room for example. You prepare and cook food in the kitchen several times a day. It’s generally the same for a dining room. Thus, you must do some cleaning after every use. In the kitchen, you must clean the appliances and the utensils used after each meal. For the dining room, you should clean and set the table for the next meal. You don’t have to clean the kitchen sink after every meal, but be sure it is spick-and-span before bedtime. Now here are the less frequent tasks: You can sweep or mop the kitchen and dining room floor just once a week. Once a week, you should give your kitchen appliances fridge and sink a thorough scrubbing. As for your fridge, be sure to check it once in a while to see if you have spoiled food that is taking up space in the fridge. The best time to do this is before you do your grocery shopping. Bathroom. Like the kitchen and dining room, you use the bathroom every day. But you want to keep it clean for a different reason. You wouldn’t want to take a shower or bath in a messy bathroom would you? Your towels and toiletries should be put away at all times. Try to keep the bathroom floor, sink and shower as dry as possible because mold loves to grow in a damp environment. Do a thorough cleaning of your bathroom at least once a week. It would also be good if you could sweep or mop the bathroom floor at least once a week. You must also have a new set of towels at least once a week to avoid spreading germs. Bedroom and Living Room. Unlike the other rooms, you do not have to clean these rooms every day. For your daily chores, just make sure that things like books, shoes, gadgets, etc. are put away in their proper place. Not only does arranging them make your room presentable; it will save you time when trying to locate these items. Generally you only need to sweep and vacuum (if necessary) your bedroom and living room once a week. If you have children or pets, your bedroom and living room might require more cleaning. It should probably be a daily chore to pick up clutter and clean up after your children and/or pets. You can also teach your children to help you by picking up their clutter and cleaning their rooms. General Cleaning. AmericanHouseCleaning.com, a maid service provider in the San Francisco area, recommends that you also undertake a general cleaning of your house once a month. You may do it yourself or choose to hire a professional cleaning service. A professional cleaning service might be the best choice, after all they are trained to do an excellent job. Always remember to identify the daily, weekly, monthly and annual cleaning tasks. By doing this, you will have a presentable home at all times. Vacuum once or twice a week. To ensure that there are no allergens in the air, have your vacuum installed with a HEPA filter. This will trap even the smallest allergens. Remove all clutter. Old and unused items gather dust and allergens. Leave the house for a few hours after you clean it. When cleaning your house, dust particles and allergens are lifted into the air. By vacating the house immediately after you clean, you limit your exposure to these allergens. Be sure to remove mold from your bathroom. With its moist environment, the bathroom is the perfect place for mold to grow. Clean your bathroom floor and shower regularly to avoid allergies from mold. Wash your bed sheets in hot water. Doing this will kill dust mites. The minimum temperature must be 130 F. If you have children who have allergies, it might be helpful to include their stuffed toys in the hot wash.
Use a damp cloth and mop when cleaning. Doing this will trap allergens instead of scattering them around with a dry cloth or mop. Clean your entry ways. Entry ways can collect allergens, because they are the most used room in the house. Make sure to clean this area of the house regularly. Vacuum your carpets but do not shampoo them. The residual moisture from shampooing carpets could encourage mold growth or help induce an increase in dust mite population. Better to have someone else do dusting or vacuuming chores. If you suffer from allergies, simple cleaning tasks like dusting can triggor an attack. Having a professional clean your house will help you to avoid unnecessary allergies. Take your shoes off and leave them at your doorstep. Shoes carry dust and other pollens. Avoid having pets sleep on your bed. Pet hair can cause allergies. If possible, do away with rugs, carpets, draperies and horizontal blinds. These serve as a haven for dust and pollen. Use dust-proof covers on your mattress and pillows to keep dust mites out. Use air-conditioning when it’s humid. An air conditioner filters air and prevents dust, dirt, pollens, molds, and other triggers from getting in. With these tips from AmericanHouseCleaning.com, a cleaning service company in San Francisco, you can keep you and your family free of allergies. Contact AmericanHouseCleaning.com for more information. With Christmas gifts can come post-holiday clutter. Q: I have a thoughtful family. How do I store all of my new gifts? A: Try Santa’s Rule: Get One, Toss Two. For each new gift received toss two counterparts. Did you get a new DVD or pajamas for the children? Remove two older titles to make extra room or two sets of older PJs. Q: What do I do with all of these mailing boxes? A: You can recycle or reuse them, or take the holiday mailing box challenge. Fill a mailing box with items suitable for donation to a local charitable thrift store and deliver them before the end of the year. Q: Putting up decorations beats taking them down. How can I make this a better process? A: Pay it forward. Sort and declutter holiday decorations, linens and specialty cooking items as you store them. Has-been décor items can be recycled or donated; stained linens can be repurposed as cleaning cloths. Sometimes there’s a sense of “sling it in there and worry about it later” mentality with putting away Christmas décor. You’ll be thanking yourself next Christmas. Q: How else can I get rid of items? A: Have an after-Christmas White Elephant exchange in January. Avoid circulating gifts that have been given by your guests. Q: Should I wait until spring for a major house cleaning? A: Observe oosouji, a Japanese New Year tradition. Because each year is seen as separate and distinct, the final week of the old year is devoted to cleaning, decluttering and organizing. This creates a clean state of mind to welcome the New Year and invites prosperity in the year to come. Surprise! One of the most versatile cleaning agents can easily be found in your home. 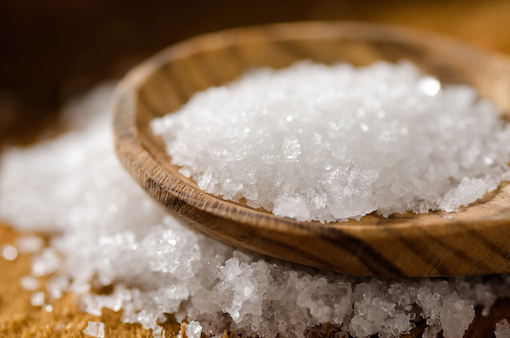 Salt is usually used to add flavor to food, but it can also be used for hard to clean areas in the home. Salt added to a variety of substances can make for an effective cleaning solution. AmericanHouseCleaning.com, a maid service company based in San Francisco, lists several areas where salt can be used as a cleaning agent. Remove even the toughest carpet stains. Grease, gravy or red wine stains are notorious for being difficult to clean. • For tough grease stains, all you need is a solution made of 1 part salt and 4 parts rubbing alcohol. Wipe hard in the same direction as the nap of the carpet. Rinse the area with water for a clean carpet. • For gravy stains, another approach is needed. Cover the stained area with salt to prevent the stain from spreading to other parts of the carpet. Then clean as directed by the manufacturer. To finish the job, you may need a dry-cleaning solution or an enzyme detergent. • For red wine, you first have to blot up all moisture from the spill. Sprinkle the area with salt. Then just leave the stain for around 15 minutes. The salt absorbs the wine in the affected area. Finish off your task by cleaning the stained area with a solution made from ⅓ cup vinegar and ⅔ cup water. Cleaning Furniture. Your furniture can look as good as new when you take good care of it – and often with a pinch of salt. • Wooden furniture. Hot objects can often mark the tops of wooden tables. To restore it to its original color, you start with a paste made from oil and salt. Rub the paste on the discolored area. Then buff the portion gently by wiping it off with a soft cloth. • Metal furniture. Put the sheen back on copper or brass surfaces with a paste made from equal parts of salt, flour, and vinegar. Put a little paste on a soft cloth. Wait for an hour. Then buff with a soft cloth. • Copper decorative pieces. Spray this material with vinegar, and then throw on some salt. Scrub with a sponge. Finally rinse thoroughly to make sure you remove all the salt bits. You may have to repeat the procedure. For slightly discolored brass or copper items, clean using a sliced lemon dipped in salt. Rinse with water to finish the task. • Rattan furniture. You can prevent white rattan furniture from discoloration. Using a stiff brush with saltwater. Pewter. This type of material must be cleaned gently because it can easily be dented. Make a paste from 1 teaspoon salt and 1 cup vinegar. Wipe paste on a piece of pewter. Let it dry for 30 minutes. Then rinse using warm water. With a soft cloth, wipe away all paste residues to polish the piece. Kitchen sink. A paste made from turpentine and salt can restore white enameled fixtures that have become yellowish. This paste can be used on sinks, bathtubs, or toilets. Apply the paste. Let it dry for 15 minutes. Then wipe away the paste with a wet sponge. Stainless steel is one material that certainly lives up to its name. Its ability to stay clean and appear shiny makes it a favorite of homeowners especially for kitchens and bathrooms. However, if not properly cared for, stainless steel can corrode and rust. Therefore, it is still important to know how to clean your stainless steel fixtures. AmericanHouseCleaning.com, a house cleaning company in San Mateo, recommends four different ways to clean stainless steel. These four methods differ in terms of the difficulty. Water and cloth. For small amounts of dirt or routine cleaning, cleaning stainless steel with plain water and wiping it dry with a cloth is the easiest and least risky cleaning method for the bathroom or toilet fixtures. Plain water will do the job. No need for filtered or distilled water. It is important not to forget to dry off the stainless steel top because minerals in water can leave unsightly stains on stainless steel. We recommend microfiber cleaning cloths as these absorb water well and won’t corrode the surface. Warm water and mild detergent. For a more thorough cleaning, you can use mild detergent and warm water. You can put a few drops of mild dish soap in a sink filled with warm water or you can apply a drop of dish soap directly on a microfiber cloth. Soak the cloth in warm water to create suds and then wipe the cloth across the soiled portion of the stainless steel sink. After you remove the dirt, rinse the sink with water and thoroughly wipe the area to remove it of excess water. Glass cleaners. One of the most common stain marks on stainless steel is fingerprints. Unfortunately, water and detergent aren’t ideal to wipe away fingerprints. We recommend that you use commercial glass cleaner for this task. For the best (and most economical) result, spray directly on a piece of microfiber cloth and then wipe directly on the stainless steel area in a circular motion to remove the fingerprints. You may have to repeat the procedure until the fingerprints disappear. Then rinse with water and wipe dry. Note: Even with glass cleaners, removing fingerprint marks can be tedious. If fingerprints are a common occurrence in your house, you may consider installing a new type of stainless steel finish that is fingerprint-resistant. Stainless steel cleaners. There are cases in which stainless steel countertops have “impossible” marks or scratches. For such cases, a commercial stainless steel cleaner is recommended. Not only do these commercial cleaners remove stains and minimize scratches, they also polish the surface. Be sure to follow the directions carefully. Also, do not forget to rinse the surface and wipe with a towel after cleaning with a stainless steel cleaner. It can be difficult to clean stainless steel fixtures, but luckily AmericanHouseCleaning.com, a house cleaning company in San Mateo, has plenty of tips to help you clean your stainless steel surfaces properly. Knowing the proper way to clean will help keep your stainless steel fixtures beautiful and shiny for years to come. By using ingredients found in your household, you can remove unwanted stains from your carpet. To remove a stain, simply mark the spot and wipe it dry from the outside going in. Then rinse thoroughly with clean water. Do not scrub the carpet as this can ruin the carpet fibers or make the stain worse. AmericanHouseCleaning.com, a maid service company in Palo Alto, states that when removing carpet stains, you need different types of home-made cleaners depending on the stain. The most common is water-soluble stains. These include: alcoholic beverages, berries, soft drinks, food dyes, sauces, ice cream, jelly, milk, mud, washable ink and wet or latex paint. For such stains, use a simple cleaning solution composed of 1/4 teaspoon of non-bleach detergent mixed with 32 ounces of water. If you do not have detergent, you can use white vinegar instead. There are also “special water-soluble” stains. These require different cleaning solutions and include blood, chocolate, coffee, mustard, tea, vomit and wine. For such stains, the cleaning solution should be a blend of 1 tablespoon of ammonia combined with 1 cup of water. For wool or wool-blended carpet, you have to use a solution with detergent and water. For solution-dyed carpets such as polypropylene, try a mixture of one part chlorine bleach to five parts water. Avoid using bleach as much as possible because it generally harms carpet materials, but if your stain is stubborn, it might be necessary. Fat, Oil, and Wax. Place a paper towel over the carpet and iron on using just a warm setting. The wax, fat, or oil should come off the carpet and adhere to the paper towel. Cigarette Burns. Use an object with a flat and hard surface such as a ruler to gently scrub the pile away. Glue. You can use a wad of cotton or soft cloth for this type of stain. Pour rubbing alcohol on it and press your cloth or cotton ball on the stained area. When the glue stain is thoroughly softened, wipe it off with the cloth or cotton ball. Repeat the process until you have removed the glue stain completely. Wax and Gum. Ice works best to remove wax or gum. Use the ice to make the wax or gum solid. Then use a blunt instrument such as a dull knife to break the hard wax or gum from the carpet. Vacuum the carpet before the wax or gum begin to soften, then blot the carpet with a white towel. Nail Polish. What better way to remove nail polish than use nail polish remover? Use a rag moistened with nail polish remover and blot the affected area. Urine. Use a towel to soak up the urine as much as possible before attempting to remove the stain. Then with a wet piece of cloth, blot the affected area. Next spray the stained area using a solution composed of equal parts white vinegar and water. Then, you should apply a solution of 1/2 teaspoon of mild, nonbleach detergent and 32 ounces of water. Rinse; then blot dry. For many, the standard way to clean granite countertops is to purchase a “granite cleaner.” AmericanHouseCleaing.com, a house cleaning company in Redwood City, CA suggests other ways to clean your granite countertops. It takes three steps: regular maintenance, cleaning with baking soda, and sealing your granite countertop. Regular cleaning and maintenance. If any liquid spills on the countertop, wipe it off right away before the liquid sets in. If the spill has dried up, wipe the residue with a cloth dampened with hot water. The warm water will help loosen up the solidified stain. Wipe the countertop using water mixed with warm soap. The water should be pH-balanced and, if possible, filtered. You can make your own granite cleaner using three parts cleaning detergent and one part rubbing alcohol. Mix this solution with warm water. For best results, use microfiber cloth. Your home-made granite cleaner should be sufficient for your needs. Do not use ammonia, vinegar or lemon cleaners on your granite counters. While granite is an extremely hard rock, it is still susceptible to acid. Before cleaning with the cloth, immerse it in your solution. Then wring it out to remove excess fluid and start wiping the counter down. After cleaning run your hand across your countertop to feel any dirt you may have missed. Then use a microfiber cloth to buff and dry your countertop to ensure that there will not be any unsightly streaks on the countertop. Cleaning with Baking Soda. The procedure mentioned earlier is used for cleaning ordinary stains. For stubborn stains, you should use baking soda. Depending on the type of stain, you might have to make a baking soda mix or “poultice”. If it is a water-based stain, mix 1 cup of baking soda with 5 tablespoons of liquid dish soap and enough hydrogen peroxide to create the consistency of yogurt. For oil-based stains, use the same combination of baking soda and liquid dishwashing soap but mix it with water instead of hydrogen peroxide to give it the consitency of yogurt. Apply the solution to the stain on the countertop. Let stand for one day before wiping off. Seal Your Granite Countertop. Sealing your countertop helps to cover its unique surface so that dirt and stains will not seep into its pores. You have to seal your granite countertop once every two years to maintain the beautiful look and feel of the granite. Before you seal your countertop, clean it thoroughly using a microfiber cloth and your home-made granite cleaning solution. Wait 10 to 15 minutes after cleaning to make sure that all moisture has evaporated from the surface. Then you can spray the sealant. Spray it evenly over the entire surface of the granite making sure that all areas are covered. For best results, apply the sealant and then wait 10 to 15 minutes. After that, wipe the countertop with a cloth to get rid of any excess sealant. AmericanHouseCleaning.com, a house cleaning company from Redwood City, CA advises that you follow these steps to preserve your granite countertop’s appearance for many years to come. How do you clean hardwood floors? AmericanHouseCleaing.com, a house cleaning company in San Francisco, has a tip for you: learn about the finish on your hardwood floor. Yes, it’s not in the hardwood but the floor finish that determines the type of cleaning. There are basically three types of wood finishes: surface-sealed floors; penetrating-seal-treated and oil-treated floors; and lacquered, varnished, shellacked and untreated floors. Once you know the finish you can start cleaning. But what if you can’t tell? Try this: rub your finger against the floor. If you do not see any smudge or stains from your finger, then it is a surface-sealed floor. If you see a smudge or some marks, then the floor has been treated. If the finish is surface-sealed, then your work should be easy. Just sweep the dirt off with a broom, mop the floor and you’re done! Surface-sealed floors are stain and water-damage resistant. When it comes to surface-sealed floors, you must resist the urge to use chemicals like oils, waxes or furniture sprays. These can leave oily marks on the floor. If the floor finisher has a recommended cleaning agent, then you can use that. For best results, mix soap and water before you mop a surface-sealed floor because water alone won’t be sufficient. Do not use water mixed with vinegar because this could make the floor finish look dull. Other than these precautions, cleaning surface-sealed floors should be easy. Other floor types may be treated and cleaned in the same manner. These must additionally be protected and pampered with liquid or paste wax, which are specialty finishes and must be handled with care. To remove wax build-up, you have to use a stripping material. For best results, select a brand that the floor manufacturer recommends. To get that gleaming look on your floor, use liquid or paste wax. This is actually better for your floor since it gives more protection against dirt and the normal wear and tear. Do not use water or water-based waxes as this may turn your floor white. So you now know the basic difference between cleaning a surface-sealed floor and other floor finishes. For routine cleaning or mopping, consider traffic. High-traffic areas like the dining room should be mopped every day. Low-traffic rooms can be mopped once a week or even with less frequency. When it comes to mopping remember that you should not use a soaking wet mop. Just dampen the mop with a little water. Always be sure to squeeze dirt out of the mop once in a while. When the water bucket is dirty, pour it out and use a clean bucket. If the floor contains stains or dirt that sticks, you may need to mannually wipe the dirt clean. It is always nice to have a clean and gleaming floor. Know your floor finish so you can clean it properly. Take our advice as a house cleaning companyfrom San Francisco and your floors will remain shiny for years to come. If you wold rather not clean your own floor, let our expert staff take care of that for you as often as you need it. Call today for more information. Can I Still Use a House Cleaning Service if I Have Pets in My Home? One concern of many homeowners before they hire a house cleaning service is the safety of their pets. Our company AmericanHouseCleaning.com, a cleaning service in San Francisco, proceeds with caution in regards to the safety of your pets when we come to clean your home. We want to make sure that our clients and their pets are taken care of properly. We use eco-friendly house cleaning products to help maintain a healthier environment for you, your family and even your pets when we visit your home. The products we use are made using acceptable production methods that are naturally produced, are safe, don’t use harmful toxins. AmericanHouseCleaning.com chooses to only use eco friendly cleaning products, because they don’t negatively effect our environment, they don’t damage our respiratory systems when using them, and they even smell better that other substances that use harsh chemicals. AmericanHouseCleaning.com advises clients to move cages or aquariums to a certain room if necessary while cleaning is in progress. Also, place any cats, dogs or animals in a safe area away from where the maids are cleaning so as to not disturb the pets. This should be done to make sure pets will not be distracted by the buzz of the equipment as the cleaning proceeds. Of course, we realize that some homeowners may house special or rare animals as their pets, which may not be covered by the list of animals that are known to be safe from the fumes or scent of cleaning products. In such cases, it is appreciated if clients advise to our house cleaning service of the special needs of their pets such as sensitivity to certain substances. In that manner, the cleaning service can prepare accordingly and be ready with contingent measures when the cleaning process begins. There is really no reason for clients to be concerned for their pets wellbeing from the products we use. AmericanHouseCleaning.com, a cleaning service in San Francisco follows a high degree of environmental compliance with regards to the substances and equipment used. We can do our work with your pets around and leave your residence looking clean and fresh without harmful micro-organisms not only for humans but also for the creatures that liven up your homes. A House Cleaning Company Answers the Question: Should I do Anything Before a Cleaning Service Comes? A professional cleaning service is always a welcome help for any busy home-owner. Instead of having to do all the mopping, floor polishing and vacuum cleaning, homeowners can hire a company to do it and have it professionally done. But, before the service arrives, a house cleaning company from Santa Clara, CA, advises that the home owner still do some preliminary work. Clean up clutter and organize your stuff. Your cleaning service is there to clean your house – not to fix up the mess. You hire a cleaning company to use tools like a vacuum cleaner, floor polishers, detergents and deodorants to get the job done. However, if your house is filled with clutter it will hinder the cleaning staff’s ability to do a good job. Remember too that a cleaning service may take a bit longer to clean your house if your clutter is all over the place. Just imagine what the cleaning company would have to “navigate” through to let its cleaning equipment pass through. So, spend some time fixing up your clutter before the cleaning company comes. Talk to your cleaning company regarding any special request you may have. House cleaning companies are not a “one-size-fits-all” undertaking. Not all houses will have the same cleaning requirements. Your curtains, for example, may be made of special material and may be sensitive to certain kinds of detergent. Or you may have special carpets or rugs that need a different kind of cleaning. You must relay your concerns to the cleaning service so that they can bring the appropriate equipment and cleaning chemicals to fit your needs. Thus, to get the most from your cleaning service, American Home Cleaning, a house cleaning company from Santa Clara, CA advises that you do your homework: Organize your things. Communicate your instructions (and any particular requirements) to the company. And give them easy access to the rooms in your house. Why Does a House Cleaning Company Need to Have Liability Insurance? What Will it Protect Me From? As a house cleaning company in San Mateo and the surrounding areas, we get asked this question a lot. A company buys property or casualty insurance for its own financial protection. For example, a company purchases fire insurance to cover its building and other assets from fire, earthquake, floods and similar occurrences. In case of fire, the company will be indemnified by the insurance company for financial losses. The proceeds will then enable the company to pay for repairs of damaged property or to even purchase new equipment to replace the damaged ones. A house cleaning company in San Mateo, American HouseCleaning, goes one step further by getting liability insurance coverage. With this policy, the insurance company will indemnify clients of the cleaning company for damages suffered by the course of cleaning work. It also provides financial protection to anyone for injuries caused by company vans as it travels from its office to service a client. Companies purchase this type of insurance coverage because they know that the cleaning business can carry more risks than generic or standard risks carried by other businesses. The liability insurance is beneficial for both the house cleaning company and their clients. Having this insurance means that there is no need to worry about having to pay for inadvertent damages or injuries caused to its clients or to the general public. For you the client, the liability insurance coverage means that you can easily collect for damages you resulted while your property was undergoing cleaning service. When you are looking for a house cleaning company, you may want to check their accreditation with safety and licensing bureaus. Federal and state regulations set safety standards for companies to comply. These are not indications that the company has gone the extra mile in raising the bar for safety. A better indication may be to see how much coverage for liability insurance the company has. If the company has purchased a rather comprehensive coverage – and the insurance company has underwritten it, then the company has set high standards for its cleaning services. American HouseCleaning has liability insurance for its financial protection, but also so that their clients will have peace of mind knowing that an insurance company has underwritten its liability. If you are planning to hire a San Mateo house cleaning service, there are several things that you can do to get the most out of the service. Tidy up before the cleaners arrive. If you have clothing on the floor and paperwork all over the counter, your cleaners will need to tidy up before they can get down to the deeper cleanings tasks. You can maximize the amount of time that your clean team spends with deep cleaning tasks by gathering items up off of the floor and putting your papers into a tidy pile out of the way. Maintain open communication between you and your San Mateo house cleaning service. Create a list of items that you want the maid service to deal with and if there are any special concerns, such as mildew in the bathroom, you should mention them. This will let your cleaning team know what is expected of them and will ensure that your expectations are met. If any special instructions are missed, you should contact the office and relay what was missed in order to allow them to correct the deficiencies. Remember to ask the cleaning service about any special tools or items you think will be needed in order to properly clean your home. Many cleaning services, including American HouseCleaning, have moved to the use of environmentally friendly cleaning products which are less harsh and do not irritate the allergies of the home’s occupants. The days of harsh cleaners such as bleach are over and every professional cleaning company has certain ecofriendly products that they like to use. Once you have decided upon a house cleaning company, ask for the same cleaners to come to your home each time. This will reduce the amount of time that it takes for the team to become familiar with your home and you will give you a more consistent cleaning experience. If you are happy with your service, recommend it to others, you may be eligible for a discount on your next cleaning session. Plan ahead and have your San Mateo House Cleaning service come to your home to clean on a regular basis. Remember that cleaning services have regular clients that they work with each week, so it may not be possible for them to come to your home at the last minute. If your home houses a busy active family, you may need your home cleaned twice a week, or your home may only require cleaning once a week. No matter the frequency of the house cleanings, make certain that you are getting your money’s worth from your maid service as you would with American HouseCleaning. How Can I Be Sure that a Maid Service will Benefit me? Are you thinking about hiring a maid service in San Mateo but you aren’t positive it will benefit you? With a maid service, you can continue with your regular lifestyle, and leave deep cleaning tasks to the professionals. When you do not have to worry about keeping your home clean you will free up valuable time that can be spent with your family. Washing floors, cleaning toilets and bathrooms, vacuuming and other deep cleaning tasks can consume a lot of time out of your day while your family may be out doing fun activities without your company. You can keep your home tidy through the week by keeping paperwork in a single pile and by having your children pick up items off the floor in their rooms, but it is not necessary to do all cleaning tasks yourself. If you hire a maid service in San Mateo you won’t have to worry about purchasing cleaning products. Each cleaning team has their own cleaning products, carpet cleaning equipment, mops, dusters and extended poles. Not every homeowner has these items and it would cost a considerable amount of money to source every product that is required to keep your home in top shape. Families with both busy social calendars for parents and kids don’t have much time left over for keeping the house clean. There are many tasks that must be done on a weekly basis that can be handled easily by a cleaning company. Once you start to use cleaning services, like the services that American HouseCleaning offers, you will quickly realize how efficient having a cleaning service can be and how much easier it makes your life. You may even find that your stress levels start to decrease because you no longer have to worry about finding the time to complete all household chores. House cleaning is probably the last thing on your list when you are busy running around, trying to get to basketball practice or getting the grocery shopping done. Before signing a contract or hiring a company, some services will want to meet with you to go over expectations and then a price quote for their cleaning services will be given. Now is the time to take the first step towards regaining your valuable free time, reducing your stress and having a professionally cleaned home. A clean home will help you to relax and turn your mind to concentrating on ways that you can spend more time with your family when you have some free time in your busy schedule. Contact American HouseCleaning for more information. It is extremely important to hire a maid service in San Jose that is operating above board. This service should pay its employees through legal avenues. You should not be asked to pay cash for the service and the company should be willing to provide you with a receipt if you request one. If you hire a cleaning service under the table you are taking some serious risks. While you may think that paying your cleaning service under the table is saving you money, you may be setting yourself up for some serious trouble down the road. When you hire a maid service that is fully licensed, bonded and insured, you can relax, knowing that everyone is fully protected. 1. If the cleaner is working for cash under the table, they are not covered by Workers’ Compensation and may sue you if they are unable to work for some reason. They can try to sue you for the money needed to cover their medical and living expenses while they are unable to work. This can easily add up to a lot of money. Your house insurance will most likely not cover you in this case because you were paying someone illegally. 2. A person that you hire to work for cash may not be very good at the job. They may do house cleaning simply for the money, but they are not qualified to ensure that the work is done at a proper standard and that everything is sanitary. A professional cleaning company like American Housecleaning has fully trained cleaning staff that can do an excellent job of cleaning your home according to a very high standard. 3. Hiring someone to work for cash instead of a professional maid service in San Jose means that you are taking a chance that items may be stolen from you. A professional company will make certain that their employees are bondable which means that they have had a criminal background check and can legally work in this country. When you have people working in your home you want to know that they are trustworthy and that your belongings are safe. If you are looking for a reliable cleaning service, you should hire American HouseCleaning. We service San Jose, CA, San Jose, Santa Clara, Los Altos, Palo Alto and the surrounding areas. Our cleaning company employs professionally trained cleaners who are well aware of what it takes to clean your home to a high standard. Redwood City residents know that a good house cleaning company can save you time and money, and make your home look so fresh that you'll feel you've just moved in. A less reputable cleaning company, however, can cause you to find yourself facing repair bills or worse cleaning your own home over. If you're searching for house cleaning in Redwood City, there are a number of things you should consider before hiring a cleaning company. What kind of equipment do they use? Are they insured? How do their prices stack up against the competition? But maybe the most important question is this: what do their previous customers say about them? Reputation is the most important when looking for house cleaning services. You will be trusting a company to care for your home and that means finding a company with trained, experienced staff, excellent skills in home cleaning and a respect for you and your property. If one particular company can boast of years of satisfied customers, then you know you've found the people worthy of entering your house. This is the case with American Housecleaning. Length of time in business is important too. A brand new company with fancy equipment and a flashy website may seem impressive, but it's no match for experience. Cleaning is actually an extremely skilled profession that needs to be right first time, every time. Any company that can't guarantee a quality service is soon going to go out of business, so you know that a long-established company with a demonstrated track record that understands the needs of their clients and is willing to demonstrate a commitment to excellence is the right choice. Cleaning companies should also be bonded, insured and registered where possible, so that if unforeseen circumstances strike while your home is being maintained, you won't be the one left footing the bill. Ask for confirmation of liability before agreeing to anything. More than any other industry, house cleaning is a business based on trust. You can try to cut corners and hire the cheapest available option, but it may work out more expensive in the long run. Not only that, but do you really want to let someone you don't totally trust into your home? Take some time to search through available house cleaning Redwood City services. You will find that American Housecleaning is one of the highest rated cleaning companies in the area. When you make a choice to use Eco friendly cleaning products, you are making a choice to preserve our environment. Most proper Eco friendly cleaning products are made using acceptable production methods that are naturally produced, are safe, don’t use toxins, and only use biodegradable products. American HouseCleaning, a San Francisco Maid Service, helps save our environment by only using these eco friendly products. Chemical cleaning products, or cleaning products that are not eco friendly, contain ingredients that are toxic, non-biodegradable, and originate from non-renewable sources like petroleum. Chemical cleaning products badly affect our environment and everyone living in it. Because chemical cleaning substances are not biodegradable they end up accumulating causing a lot of harm to our planet. This accumulation of toxic waste can also bring deadly diseases to both plants and animals. American HouseCleaning chooses to only use eco friendly cleaning products, because they don’t harm our environment, they don’t harm our respiratory systems when using them or being around them, and they even smell better that chemical cleaning substances! We want to ensure the wellbeing of our employees, our clients, and their pets. So, vow to protect your family, friends, pets, and our environment at large by choosing our San Francisco Maid Service. Our Eco friendly cleaning products will make your home or office safe and clean, as they should always be. Real estate agents should hire a cleaning service whose workforce will ensure that the vacant houses will be clean and look presentable. Thus as soon as the customers have a view of the house, it will satisfy them leading to no hesitation of purchasing the house. Customers are fond of purchasing something that is unique or different from the others in the market, hence this also applies here in the sense that the cleaning service should leave the home sparkling so it gives the buyers a good feeling to be in the home. Clean homes have a huge competitive advantage over those that are not as this plays a big role in the decision of the consumer, whether we like it or not. Real Estate agents need a cleaning company who are very good at their work. They will ensure the houses are clean to improve its appearance. They need a service who is dependable and has experience cleaning homes in extreme conditions as this is often how homes are left by previous owners or tenants. The first outlook of the clients who want to purchase a home will be greatly determined by how presentable they look, hence it necessary for the cleaning service to clean them for it will leave a good first impression. Cleaning services like American Housecleaning have well trained personnel and efficient equipment that can do the cleaning with the shortest time possible compared to what a regular person can do. Thus hiring a cleaning service will lessen the real agents work load as this is not something the agent needs to worry about. If you are a real estate agent and you are looking for a reputable, trusted and experienced house cleaning Palo Alto company, then contact us today. We have helped many agents make their homes spotless in short amount of time so they are ready for showing right away and look and smell like new. How Much Does a Cleaning Company Cost in Santa Clara, CA? Santa Clara is a town located in Northern California and house cleaning services are very common here due to the great demand for these services. Here we are going to state and discuss the various charges you will find with different house cleaning companies and try to diagnose which one is more economical. The cost of house cleaning in Santa Clara is determined by different factors: the size of the house and how often you need the cleaning service. These two factors go hand in hand together, although we are going to discuss them differently. This is the main factor towards determining the cost of a house cleaning service. Some companies charge depending on the square feet of the entire house while others charge depending on the number of rooms cleaned. If your house is very large, you will have to pay more to get your home cleaned. Also, your working relationship with the cleaning company will matter for they can decide to offer you a discount due to your loyalty to them or referrals as we offer. How often will you need a cleaning will also be a factor on the cost of the home cleaning service. For example, the more often the company has to come clean your home, the less you pay per service. This is because most companies offer discounts if you get your home cleaned more often. Next, we want to find out how much the house cleaning services companies charge their clients in Santa Clara. For this it is best to get several estimates and select the company that best fits your standards. Don’t always go for the cheapest, customer service, licenses, and quality of their work should play a big part in your decision. Professional house cleaners either charge by square foot or hour. American Housecleaning for example, charges by the hour and we will give you an estimate of how much it will be based on the size of the home and the amount of people we need to send to clean it. Depending on the size and bedrooms and bathrooms, we will know how long it will take to clean your home. There is no standard set of the cleaning services but most of the basic tasks are dusting, shower and toilet cleaning and vacuuming. The cleaning service personnel may tend to do additional tasks in order to please a client. Find out what they clean and what their process is for this. This may come about when you want extra services or instructing them to use a particular of duster or any other special equipment. This will make the cost to go up and it will have to be catered by you. Why Hire a Cleaning Service Vs. an Individual to Clean Your House? As a house cleaning service in San Francisco, we often get asked this question. At face value, hiring an individual to clean your house may seem like a good idea. However taking a closer look, you may re-consider your options. While all you may need to do when dealing with an individual may be supplying the cleaning products and paying the cleaner, you will undoubtedly get shocked when you come to the realization of the legalities and taxes involved when hiring independent contractor or employees. This will ultimately incur extra cost, despite your effort to be economical. To avoid the hassle, hiring a cleaning company will definitely be a better option. American Housecleaning Co. Inc. is a house cleaning maid service based in the San Francisco Bay Area. Hundreds of Bay area residents choose American Housecleaning over an individual cleaner and also over other cleaning companies. One benefit to you is the employees cleaning your home will be well taken care of in terms of benefits and taxes: you don't need to worry about them a bit. Unlike an individual, American Housecleaning maids are professionals. The tools for the trade are available, and the staff well trained. The cleaning products and supplies are provided by American Housecleaning so that will be off your chest and not an expense that you need to incur. Better still, the health of your family is put into account, as the cleaning products used are Eco-friendly. American Housecleaning has been in business since 1986. We are experienced in the cleaning sector and have served many satisfied clients. As a flexible cleanign service, they pride ourselves into fiting in your schedule. American Housecleaning pays attention to detail, and goes about their cleaning very carefully. Attention is paid to challenging areas, and cleaning is all round, from the carpets, windows and the house too. An individual may not be as thorough, and may not know how to go about cleaning some challenging areas. In case of breakage, damage, or theft, the company will take responsibility as it is has liability insurance. The owner will not incur any losses, unlike when an individual employee is involved. American Housecleaning is licensed. They are trusted and will not let you down. Customer satisfaction is treasured and they will go out of their way to deliver beyond your expectations. If you think that they did not clean up as agreed upon, or as expected, inform them, and they will re-do the problematic areas, free of charge within 24 hours! An individual will not see you as a client, thus may not provide efficient services. American Housecleaning has the same team cleaning your house every time. This makes them very accountable to its clients. The company will ensure that every person on the team not only does their part well, but also is accountable for the safety of the items your house. Did we mention affordability? American Housecleaning is incredibly affordable, and better still, offers you discounts. Every time you refer a customer to American Housecleaning, you get a $25 discount on your succeeding cleaning. New customers are currently eligible for offers up to $ 50 for the first five cleanings. What more can you ask for? Contact us to day to schedule a cleaning. Hiring a house cleaning service for your home is something you should take very seriously because this is one process that requires a lot of considerations. Besides, there are laws about employment, safety issues, quality service and many other things that you should also consider before hiring cleaners for your home. Outlined below are some things that should be forefront as you make your hiring decisions. You might be required to sign up for an Employer ID number with IRS, If you are hiring an independent house cleaner. You will also pay Medicare , Social Security and Federal Unemployment Tax. Your Personal Tax liability might also include Federal Income Tax withholding, disability taxes where applicable and state taxes. Lack of tax payment will definitely lead to penalties and fines, so consider this as you hire a cleaning service vs. a professioal company. When you hire a house cleaning service like American Housecleaning, you can rest assured that our company has Liability insurance. Should anything happen like theft or a broken item, we have this covered and you do not need to worry about it. It is your right to ask for references from the cleaning service’s past clients to help you make a more informed decision. Remember, no company is likely to give you a past dissatisfied customer as a reference so talk to these references and if there are dissatisfied ones, find out the reasons for their dissatisfaction and make a better decision. Ensure that your cleaners are professionally trained and will perform a quality cleaning job. Remember not everybody knows how to clean a home and in most cases training is required. Some cleaning services have been known to train their employees first before sending them out to work which is recommended as in the case with American Housecleaning. Employees should know how to clean different kinds of surfaces to avoid disasters and the cleaning service should have some kind of grading system to rank their employees after training. The service should give you proof that their cleaners are qualified to clean a home so you can be assured of a quality job. A check list of what they need to do for example shows that they are trained and have a process in place for properly cleaning a home. As many people know, most businesses fail within the first 5 years. When a company has been in business over 5 years that means they are doing something right. We have been cleaning the homes of San Francisco Bay Area residents for over 26 years and counting. If our service was not top notch, there is no way we would have made it this long. Observing the above precautions when hiring a cleaning service will help you not only get a good quality service and enjoy a clean home for years to come. For house cleaning services in San Francisco, contact us today to schedule an appointment.